CORAL GABLES, Fla. – Senior right-hander Montana Durapau picked up his second win over the No. 13 Miami Hurricanes, producing his fourth consecutive quality start, as Bethune-Cookman used the momentum of a big-hitting first inning to top Miami, 7-3, Tuesday night at Alex Rodriguez Park. Facing Miami senior right-hander Javi Salas, in the top of the first, designated hitter Josh Johnson quickly dispelled the acclaim Salas’ perfect game last week versus Villanova, taking the first pitch for a single to shallow left field, jumpstarting a huge inning for the Wildcats. Johnson was able to score just two batters later, as first baseman Eric Sams’ sacrifice bunt attempt paid out double, Salas overthrew first base to advance all runners. The very next pitch went to right center, courtesy of a Matt Noble two-run double. Two batters later, Miami native Eros Modena placed an RBI double into left center and fellow Miamian Julian Santos came in on a groundout, and was the last to cross the plate in the frame. In all, B-CU batted through 12 men in the inning, scoring six runs on six hits, ending the night for Salas, who was replaced by Enrique Sosa in the top of the second. Holding the Wildcats to just two hits and no runs over the next seven innings, the Hurricanes crept back into the game. After moving center fielder Dale Carey to third with a small ball approach, Carey tabbed Miami’s first run on a passed ball in the bottom of the third. 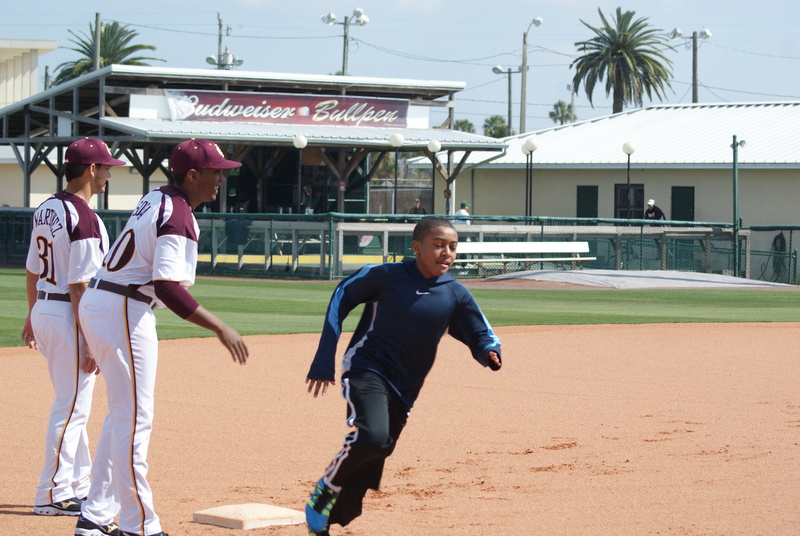 Right fielder Willie Abreau came in on a groundout to narrow the B-CU advantage to four runs. Miami added one more in the bottom of the fifth on Fieger’s double, high over third base, his second RBI of the night. Third baseman Jordan Robinson closed the frame snagging a line drive and completing the solo double play with the quick move to the bag. The Wildcats added a little more breathing room in the top of the ninth, as Johnson led off with a triple down the left field line. He crossed the plate for the second time in the game, on an error, granting the Wildcats the 7-3 advantage. Bethune-Cookman starter (3-0) Durapau pitched eight frames with only two earned runs allowed, walking two and striking out seven. Durapau also collected the win in last season’s victory at Miami and is 2-0 in three total appearances against the Hurricanes. Sophomore Michael Austin downed each batter faced in relief to close the door in the bottom of the ninth, securing the first victory over a top-15 team since 2009, when the Wildcats defeated then-No. 15 Miami in two games of a series in Coral Gables. Johnson led the Wildcats with 3-for-5 hitting and two runs scored. Noble was 2-for-5 with two RBI. The Wildcats (9-7) return to action tomorrow night in Jacksonville, Fla., taking on North Florida at 6 p.m. The Ospreys (6-7) took a 13-1 loss to Georgia Southern on Tuesday night in Statesboro, Ga.
Shannon Owens of the Orlando Sentinel ran a great piece this morning about the life-threatening illness Bethune-Cookman Baseball Skipper Jason Beverlin battled in 2013. His case is amazing, especially considering that he has no residual effects from the illness and is now back on the field for another season to lead the Wildcats. I hope that you enjoy this piece. DAYTONA BEACH — He was fed up. 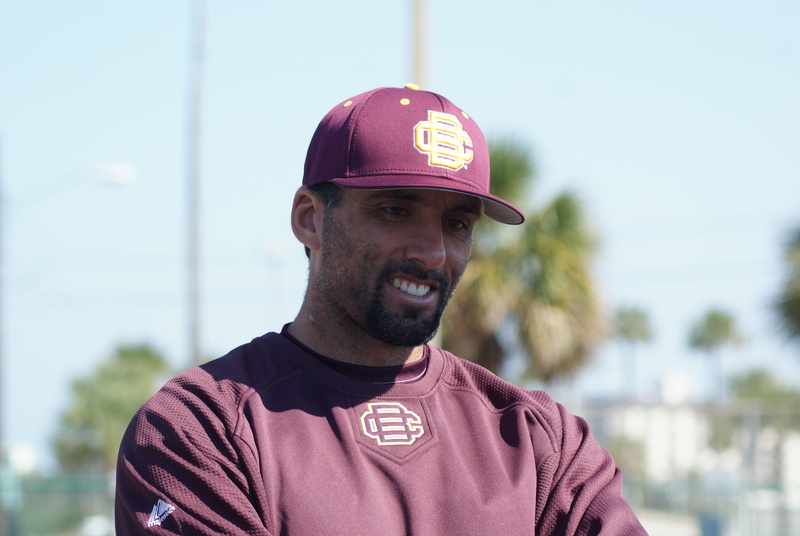 Bethune-Cookman baseball coach Jason Beverlin stopped practice when he saw the lackadaisical effort from his players a few weeks ago. He called them to attention and left them with a message. Players knew just how personal that question was for Beverlin. Last spring, the 40-year-old coach was fighting for his life 100 miles away from Daytona at the burn unit of UF Health Shands Hospital in Gainesville. A severe allergic reaction to a prescription medicine caused his body to burn from the inside out. There are moments when players forget about their coach’s harrowing experience, but there are moments that remind them they can’t take any opportunities for granted. 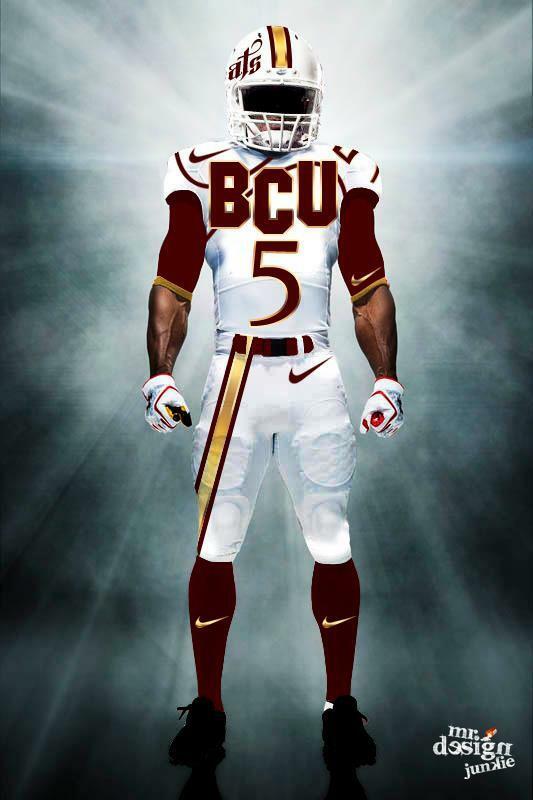 “You have no excuse to say anything now,” said Josh Johnson, a senior outfielder for B-CU. Beverlin’s nightmare started with either a cut or a bug bite. He’s not sure what caused the initial wound or when it happened. All he remembers is that his right arm almost swelled to the size of his calf by the time the Mid-Eastern Athletic Conference tournament rolled around last May in Virginia. A team athletic trainer taped it so he couldn’t touch what appeared to be an infected wound. 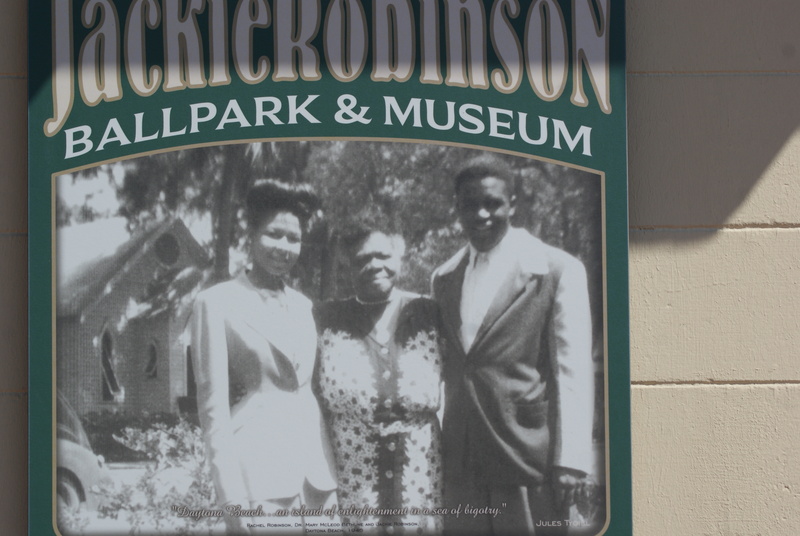 He went to the emergency room at Halifax Health Center in Daytona shortly after the team returned May 20 and was treated for cellulitis, a common skin infection. His family doctor prescribed a medicine called bactrim and that’s when his severe problems started. By May 31, he returned to the hospital with a rash he says felt like the worst sunburn of his life. Doctors temporarily took him off bactrim to try a new round of medicine. It seemed to work and they put him back on his original medication, unaware that he was allergic to it. Day by day, his condition deteriorated. The rash returned with a vengeance, covering his entire body. He experienced flu-like symptoms and his skin started to blister and shed. “It almost felt like the flu, but [also] being put in the oven,” Beverlin said. His illness reached its apex on June 5 when he laid on his couch unable to move. A neighbor, who was checking in on him while his wife, Heather, was at work, took him back to the emergency room. Doctors finally discovered what was wrong — toxic epidermal necrolysis. The medicine was poisoning his body. Roughly one in 1.4 million people a year are treated for toxic epidermal necrolysis, making it difficult to get an early diagnosis. Typically, patients who can contract the disease can lose up to 30 percent of their skin and there is a 30 to 40 percent mortality rate. Beverlin was losing all of his skin and doctors were unable to treat him in Daytona. Family friends watched Beverlin’s two sons — Cole, 14, and Lucas, 9, — as his wife got devastating news from an emergency room nurse. 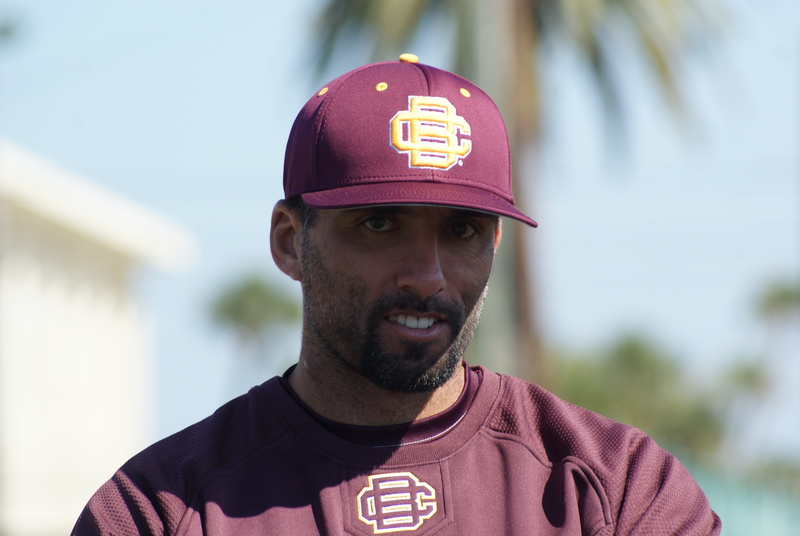 Durapau’s Complete Game Shutout Leads B-CU Past FIU, 1-0 – B-CUAthletics.com – The Official Web Site of Bethune-Cookman Athletics. 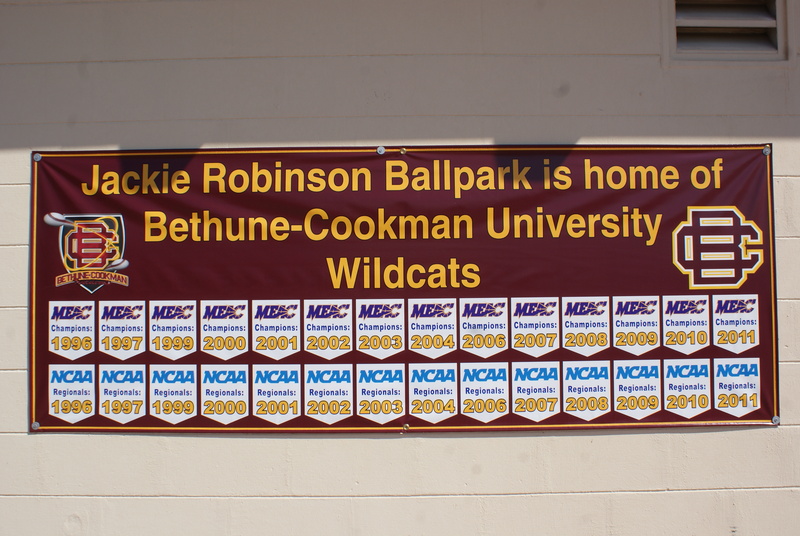 In Jason Beverlin’s first year as skipper of Bethune-Cookman’s baseball team, the Wildcats looked overmatched when squaring off against Top 25 programs. Such was not the case this past weekend when the Wildcats faced off against the 16th ranked Arizona State Sun Devils in Tempe, Arizona. Junior Righthander Montana Durapau gave the Wildcats a strong outing in Friday’s Opening Night contest. Durapau yielded just three earned runs while striking out five in seven innings of work. The Cats were 1 out away from winning Game One (and the series) but surrendered an unearned run in the bottom of the 9th that forced the contest into extra innings. The Sun Devils eventually prevailed 5-4 in the 11th inning. The second game of the series saw the Wildcat bats heat up early but simmer down late. ASU pulled away for a comfortable 15-7 win in Game 2. 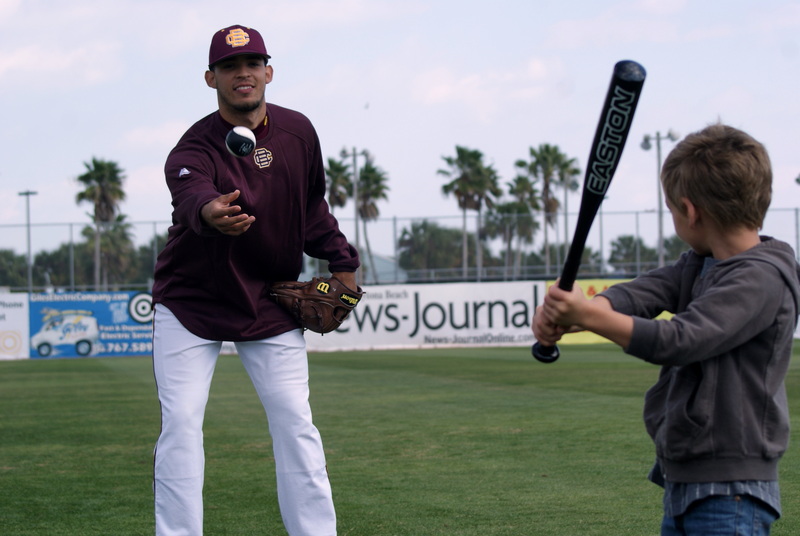 BCU (1-2) secured its first win of the 2013 campaign in the weekend cap upsetting the Sun Devils 7-6. 2011 MEAC Pitcher of the Year, Scott Garner (1-0) earned the victory going 6 1/3rd, striking out six Sun Devils batters, walking one, while allowing five earned runs. Senior closer Jordan Dailey entered the contest with 2 outs in the bottom of the 7th. Dailey held ASU scoreless over the final 2.1 innings preserving the victory and earning his first save of the year in the process. The Biocic brother’s Chris and P.J. scored a pair of runs each in the victory. Sunday’s win was the Wildcats’ first victory over a Top 25 program since defeating Auburn in 2011. Beverlin’s squad will look to carry the momentum of Sunday’s victory into Tuesday’s home-opener against the University of North Florida at Jackie Robinson ballpark. First pitch is scheduled for 6:00 p.m.